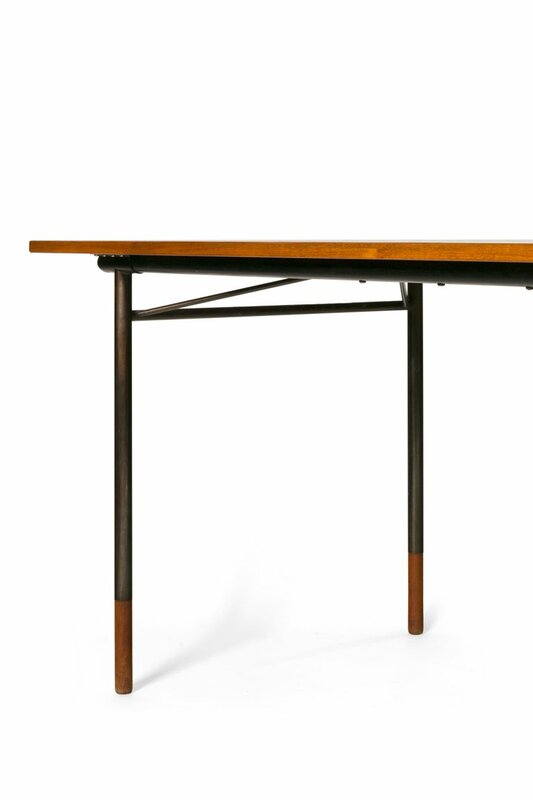 A spectacular example of Finn Juhl's iconic designs. 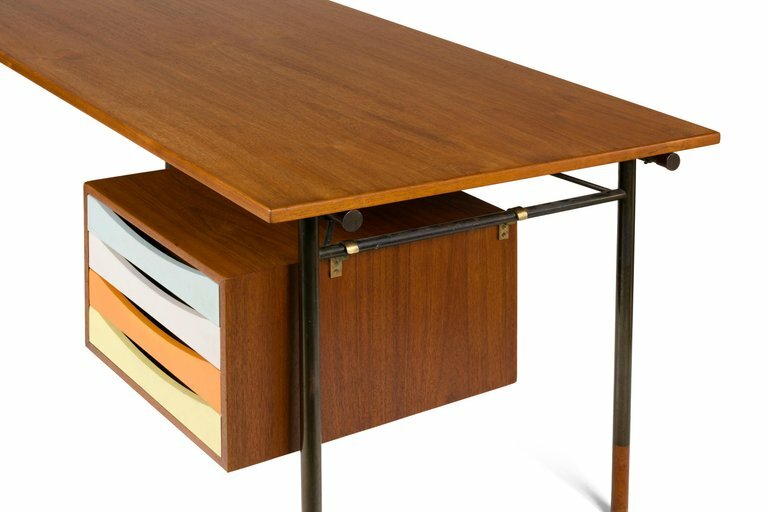 This model includes his signature drawer unit and a removable extension. 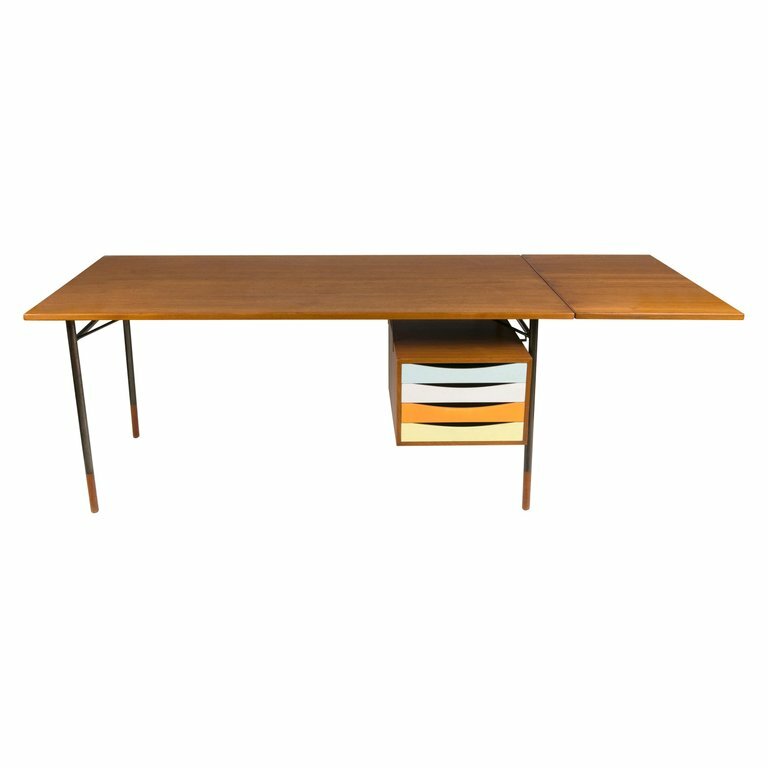 The drawer unit also removes allowing the desk to be used as a table. H 29.5 in. x W 88.25 in. x D 33.5 in.